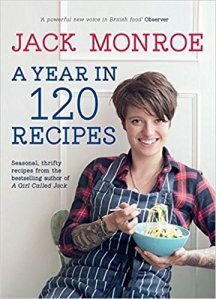 The first book from the best-selling food writer, Jack Monroe. 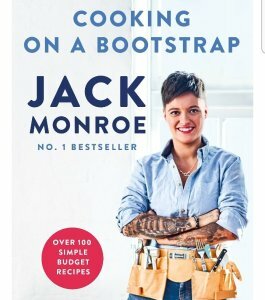 Jack Monroe is a 24-year-old single mother and local newspaper reporter. Finding herself with a food budget of just £10 a week, she began to create nutritious recipes to feed herself and her son. Giving the recipes out to a local food bank, to help others in her situation, she then began to publish them online on her blog, A Girl Called Jack, which now has thousands of followers. 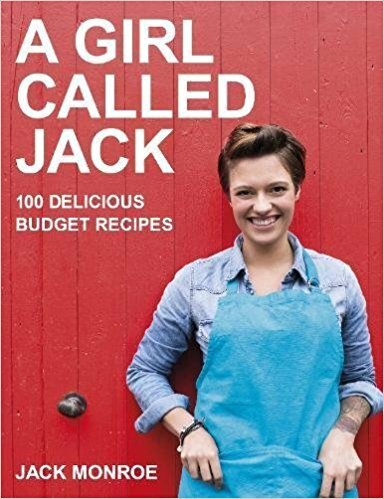 Jack was awarded the 2013 Fortnum and Mason Judges’ Choice Award for the impact that her blog has had. She lives in Essex with her son. Always the first place to turn when I’m unsure what to make for dinner. I love the detailed index (much underrated part of a cook book!) and it’s been very useful on a tight budget. Thanks Jack!